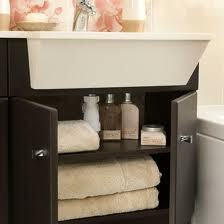 When planning to redo a bathroom, vanity units are a great way to keep your sink area clutter free. The units provide extra storage which is especially useful in bathrooms with limited space. For more great ideas visit www.cheapchicdecor.com.